19 April, 2017, New Delhi: The Union Cabinet on Wednesday announced its decision to ban the use of red beacons atop vehicles of dignitaries and government officials, including the Prime Minister and the President effective May 1, 2017. Over 10,000 Citizens from across 200 districts of India had expressed their displeasure via discussions and polls on LocalCircles on the use of beacons and prevalent VIP culture and a whopping 94% demanded that Central Government and all Chief Ministers should ban beacons on Government vehicles. 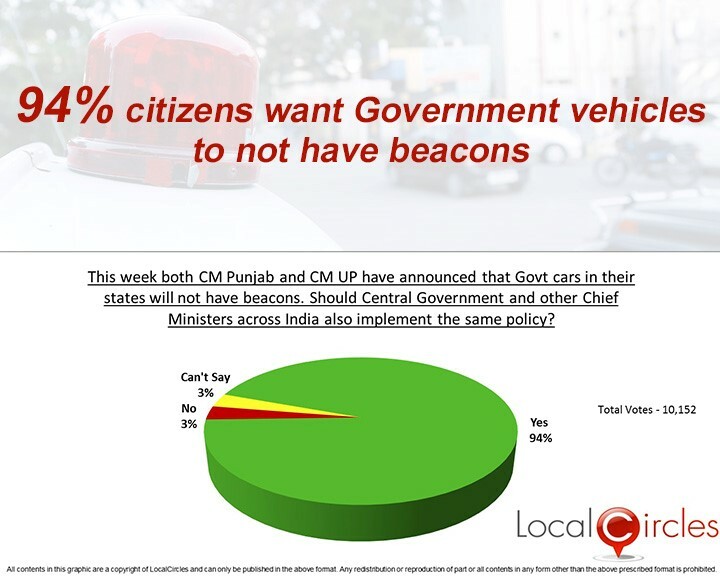 This poll conducted in the last week of March 2017 was done after the announcements by Chief Minister of UP and Punjab to stop the use of beacons on vehicles. 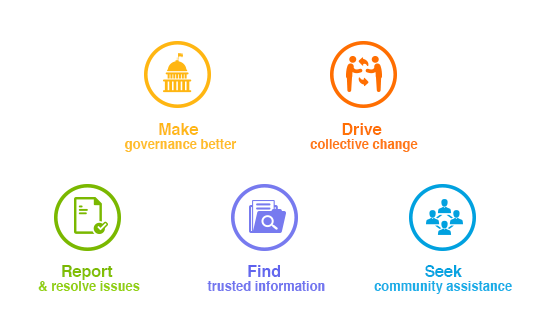 Via the poll LocalCircles had asked the citizens if the same decision should be implemented by Central Government and all other Chief Ministers across India. In response, an overwhelming 94% said that it should definitely be done with only 3% voting against it. 3% chose not to express their opinion. The poll had 10,152 responses. In an earlier poll which was conducted in Aug 2016 and got more than 11,000 responses, LocalCircles had asked citizens if they had experienced VIP culture prevalent in their city during their travels. 87% replied in an affirmative with 8% not agreeing to it and 5% not being sure about it. Citizens also demanded other ways of reducing VIP culture in the country. These included word ‘VIP’ being removed from tens of thousands entrances, doors, lounges and entry gates, roads not being closed for more than 10 minutes for a VIP movement, VIP quota in Railways being trimmed and only utilized in case of real emergencies etc.